Student Perspectives is our series of guest posts written by current #citylis students. This post is by current #citylis student, Adelaide Robinson. How have our lives changed since the rapid advance of the Information Age? And is the way that the Internet uses our information ethical? Our class discussions of data analytics and Internet privacy have fascinated me, and so I’ve chosen to focus on this for my week 3 review. The Internet has always been a solid part of my life; from the moment I was old enough to use the clunky desktop computer in the living room, I’ve had some kind of internet presence that’s been intrinsic to my personality. Neopets, LiveJournal, Tumblr – I shudder to think about the embarrassing posts someone could find from 12-year-old me if they bothered to dig hard enough – all sites that provided me with a community and a creative outlet. “How much of your life is the Internet aware of?” our lecturer asks. Uh, all of it. Everything from my shopping lists to my celebrity crushes. My bank details. Every selfie I’ve taken since I had a device with a front-facing camera and every cringe-worthy attempt at poetry. Every argument I’ve had on Twitter. Which fictional characters I think should kiss. It’s the same for everyone, right? Right? The point is; we’ve talked a lot about how scary the issues of ethics regarding privacy on the Internet are. And I’m sure they are very scary if you hadn’t accepted this lack of privacy as fact aged 10. My apathy towards privacy is something I’ve never really had to think about until now, because I’ve always taken it for granted that if someone really wanted to find the homemade documentary on anime I made for a school IT project in 2010, they could. It’s just something you put up with; as a child of the Internet, anonymity has always been scarier than exposure. “The risk, however, is that our digital technologies may easily become defining technologies rather than mere identifying ones. They may move from being able to spot who we are to actually making sure that we become who they say we are, and do not change. This is so because our personal identities are incredibly malleable. We can be easily influenced, nudged, pushed and pulled.” (Floridi, 2016). This was a quote we discussed in class. The last line in particular struck a chord with me as my identity is so easily defined by what I do and share on the Internet. Every version of me on social media is a carefully constructed persona based on who my audience are; Facebook Adelaide and Twitter Adelaide are not the same person, and neither are Twitter Adelaide and Secondary (Locked) Twitter Adelaide, or Secondary (Locked) Twitter Adelaide and Tumblr Adelaide… you get the point. But the Internet is not a personal journal, it’s Tom Riddle’s diary. It takes the data we give it and uses that to construct its own version of us. I’m reminded of Lyn’s “garbage in, garbage out” motto: you get out of technology what you put into it. I can’t complain if Skype is constantly feeding me adverts about drain fly killer, because I told the Internet that’s what I was interested in. It doesn’t matter if my interest in drain fly killer lasted the span of two minutes because Google found me the answer and we’ve since killed all our drain flies; that’s information that the Internet has on me and the companies who pay to see the inner workings of the Internet will use it to its advantage. * That’s just something I put up with in order to use these resources. We’ve been asked to think about the ethics of this. Can I really say that this is unethical when it’s something that I sign up to every day? In a lot of ways, information analytics can work to my advantage. For example, Facebook knows I’m a lesbian, because I entered that information into my profile. Facebook shows adverts targeted to the data you give it, therefore Facebook showed me an advert for the girls-only dating app “Her”, which is where I met my wonderful girlfriend of seven months. I’d call that a win for analytics. However, Facebook also tries to show me things I don’t need or want, like tickets to shows in Norway and Conservative Party membership. It’s not a perfect system. But I can’t sit here and say it’s unethical when it’s something that I accepted the terms and conditions for. Should we be more careful about what we post on the Internet? Absolutely. Is it unethical for anyone or anything to be able to analyse your posts? I don’t think so. I’ve been writing about ‘the Internet’ like it’s a living, sentient being, but the Internet isn’t someone sat in an office thinking “right, Adelaide Robinson in East London just bought some fly killer on Amazon, time for a targeted series of adverts for the exact same product”, because that would make no business sense. All the algorithm knows is that’s what I’ve looked at before; at my metadata, who I’ve sent emails to, what I’ve bought, what websites I’ve visited. It’s technology: it’s not good or evil. It’s what you put into it. Digital Information Technologies and Architectures is a very scary class to take. Learning about Raymond Kurzweil’s explanation of petabytes, for example, seriously messed me up for a few hours. (3,728,270,220 floppy disks?!) It’s also scary in how it makes me confront my own use of information technology. I do think more carefully about what information I share and how I share it now. But when it comes down to it, I’d sure as hell rather type all this out as a blog post to be shared instantly than write down 50 copies by hand and send them to all my classmates through snail mail. Does that mean it’s okay for the Internet to know as much about me as it does? Is it ethical for me to eschew information privacy for convenience? Does the age divide really make a difference? Let’s discuss. * Caustic soda, boiling water, and prayers. So far so good. You can follow Adelaide on twitter. This post is an edited version of the original which was published on the author’s blog, The Accidental Scienctist on October 9th 2016. 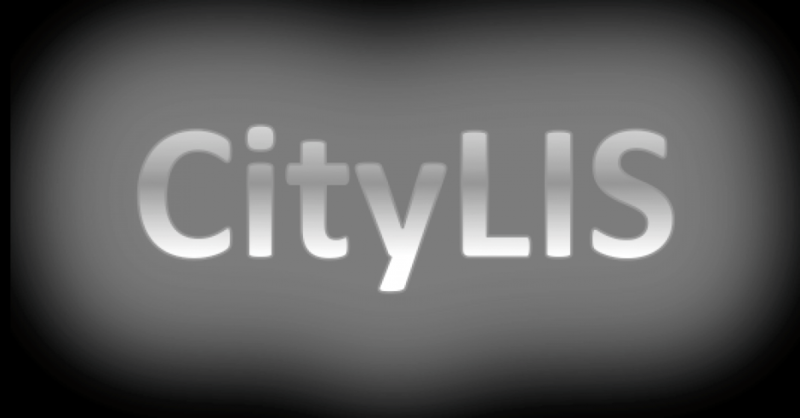 If you are a current #citylis student or alumni and would like to contribute a post, please contact our Editor, James Atkinson. Information Assistant (Academic Services) in the Library at City, University of London. This entry was posted in Student Perspectives and tagged CityLIS, Data, DITA, Information Science, internet, Library and Information Science, Library Science, LIS, Lucian Floridi, privacy, Raymond Kurzweil, Student Perspectives. Bookmark the permalink.